Firstly, excuse the awful pun in the title but…hey! It’s Valentine’s Day, and if we can’t use silly puns at this time of year, when can we? Whether the thought of V-Day sickens you or makes your heart go fluttery, there are plenty of lovey-dovey gig opportunities right here on Fourerr. This is a time of year where couples everywhere are panicking about what to get their other half – so why not make the most of this chance and make some money? Offering Valentine’s Day themed gigs can not only help out those who are clueless when it comes to gifts, but it could also mean a quick surge in gig requests making you some more cash. Romantic Music – What better way for someone to woo their lover than with your beautifully composed music playing gracefully in the background – you could even take requests and do someone’s favourite song. 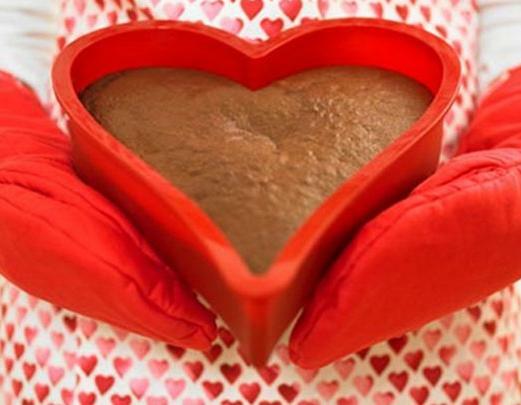 Recipes – If you are great with food, offer to give clear and easy-to-follow instructions for some simple but delicious recipes that are sure to impress on Valentine’s Day. Poems – Poetry isn’t everyone’s strong point, but if you have a way with words and can come up with something more original than “Roses and red, violets are blue…” then why not sell it as a gig? Videos – Dress up as a character, sing someone’s favourite tune, or even deliver a heartfelt message from a buyer who is too shy to say it themselves – be open minded and offer to do whatever the buyer needs to impress that special someone. Impersonations – What’s more exciting than getting a phone call or a voicemail from your favourite celebrity? If you have a knack for impressions, then offer a short personalised audio or phone message service that lets the buyer’s partner know how much he cares! Proposals – It is the most romantic time of year, and what better way to celebrate it than to help one person propose to another? Videos, music, pictures, audio messages or personalised cards can all be used to help deliver the question – and what a great thing to be part of! If you don’t have a clue about what to get you partner this Valentine’s Day, or you want to tell someone that you like them but don’t know how – Fourerr is here to help. Amongst our sellers are some creative individuals who are ready and willing to help you deliver a Valentine’s Day your partner will never forget. IF you are looking for something specific and none of the gigs on Fourerr offer precisely what you want, you can contact a few sellers with relevant gigs and ask them if they would be willing to help. Where to contact you I’m trying your help disk and your icon contact us without result.I have a problem with this Order #8346 the seller mark the gig like delivered but it’s not completed.